The majestic beauty of the state of Colorado served as the inspiration to this classic American hymn. The Centennial State is so rich in natural beauty and diversity that it just begs for you to get outdoors and explore all it has to offer. No matter what season of the year you visit Colorado, you are sure to find an amazing adventure. 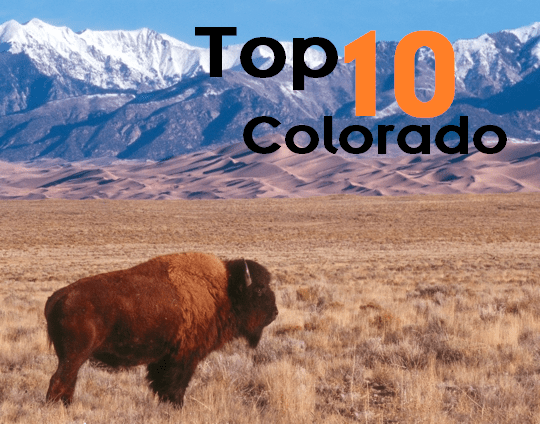 Check out these top 10 things for families to do in Colorado. 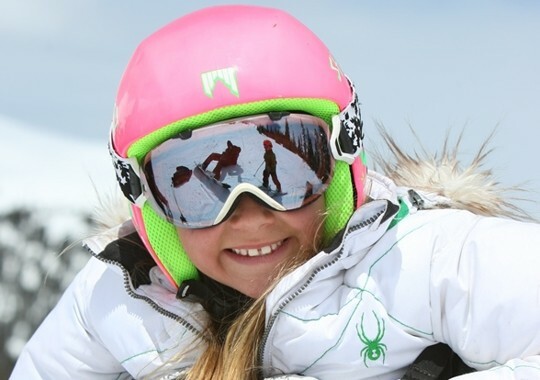 Parents, take a deep breath: thrill-seeking families will love all the extreme sports and activities available in Colorado. Hike or climb your way up one of Colorado’s 54 “fourteeners”, mountains peaking out at over 14,000 feet! Take to the heights in a hot air balloon, or paraglide out over the landscape below. Rent a jeep and take on the rugged terrain with all four wheels driving. Glenwood Caverns Adventure Park’s giant canyon swing launches daring riders 1300 feet out and over the Colorado River trailing below! The park’s “wild” cavern tour, alpine coaster slide and zip line are a must! 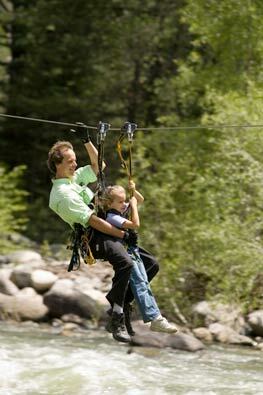 The largest zip line course in the world, Soaring Treetop Adventures in Durango, is accessible to kids and adults from age 5 and up! 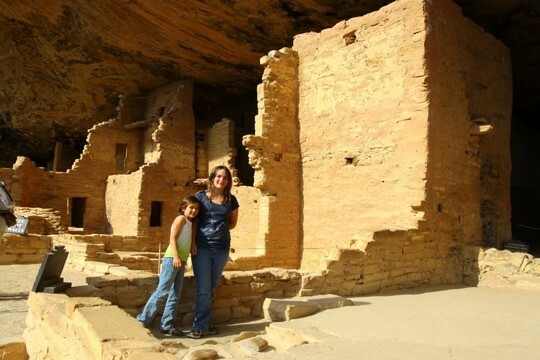 Centrally located, Durango is the perfect place to stay & play while enjoying the ancient ruins. In late spring and summer, snow melts away to a whitewater river-rafting paradise. 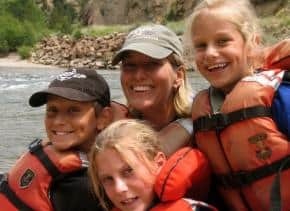 The Arkansas River is America’s most rafted river and offers trips varying from family-friendly class II waters all the way to extreme class V rapids for experienced riders. Numerous rivers and outfitters across the state offer safe, family expeditions to get you started, and on calmer waters, you can enjoy a variety of types of boats for experiences from lazy to crazy. Fishing picks up when the waters begin to tame, so be sure to take advantage of the plentiful rivers of Colorado. Enjoy Colorado’s scenic beauty without the stress and frustration of driving. 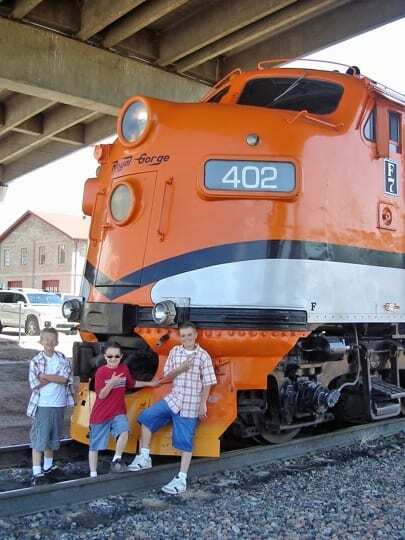 Start your enthusiasm for trains by visiting the Colorado Railroad Museum, designed as an 1880’s train depot with replica trains and an awesome array of hands-on activities for the little ones. When you are ready to journey for yourself, ride one of the state’s numerous railways boasting open-air cars, incredible scenery, and impressive bridges. The Royal Gorge travels first class along the Arkansas River and has numerous dining options available, even fine dining for a special occasion, while the Cog Railway in Colorado Springs travels to the top of Pike’s Peak (14,000 feet). The Durango & Silverton Narrow Gauge Railroad operates year-round through the San Juan National Forest and includes entrance into their freight museum with ticket purchase. Many of Colorado’s trains host special events for year-round holidays, offer exceptional dining options, and even offer your teen the chance to solve murders on board a murder mystery train. Check out eight Scenic Railways across Colorado to explore. Colorado has your animal fix covered! The Denver Zoo is lauded as the most popular cultural attraction in all of Colorado; despite the 1.6 million annual visitors, Trekaroo users say their visits are relaxed and calm. Free summer programs are the highlight for many visitors. More animal encounters can be found at the nearby Butterfly Pavilion and Downtown Aquarium (which also hosts mermaids!!). The Cheyenne Mountain Zoo, in scenic Colorado Springs, sits at an altitude of 6,800 feet and boasts over 200 animal species. For a change of pace, ride the historic carousel or take the Mountaineer Sky Ride to the top of the zoo to play on the kid-friendly playground. 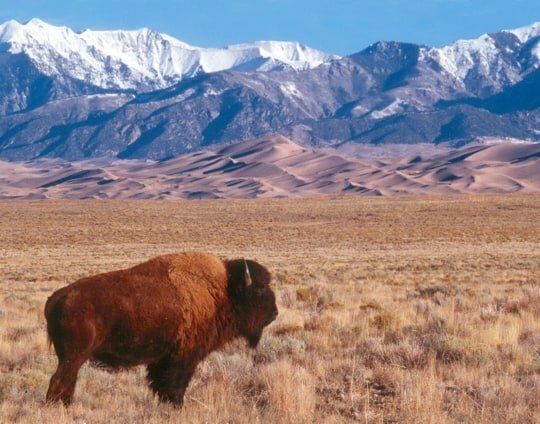 If you’re looking for buffalo, head about 20 miles west of Denver to Genesee Park’s Buffalo Preserve where you can get up close & personal with a herd of about 40 wild buffalo, for free! Colorado Springs is a beautiful vacation spot. Start your planning here. The iconic scenery, big sky, and beautiful weather make Colorado a rancher’s dream. 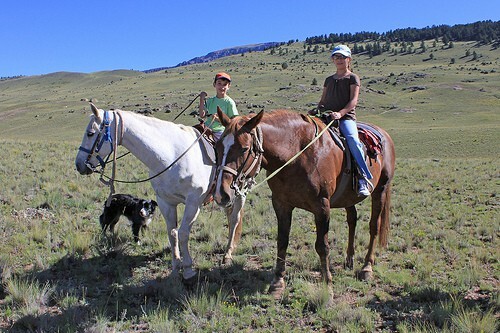 If you can splurge for an all-inclusive resort, try your hand as a cowboy at a dude ranch. Family programs, camp-outs, cattle drives, entertainment and exceptional dining will draw your family together with a lifetime of cherished memories. If a day trip is more likely to fit the bill, check out one of Colorado’s numerous ranches and farms open for tours, horseback riding, and chuck wagon dinners. At the Children’s Museum of Denver, hands-on education takes place in such clever and creative ways that your kids might not even know they are learning. Giant dinosaurs, a planetarium, and a space odyssey highlight the best of the Denver Museum of Nature and Science, which consistently receives rave reviews on Trekaroo. If you have a free afternoon, venture to The Wildlife Experience just south of Denver. This museum focuses on learning about wildlife habitats through hands-on-displays and films best geared to school age kids and up. 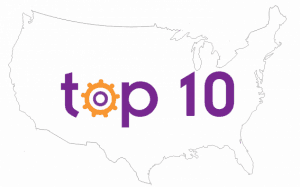 Check out the top ten children’s museums across the US. Sitting at an altitude of 5,280 feet, Denver was founded by miners less than 150 years ago and is still full of youth and excitement. Downtown, take the free US Mint tour where you can watch the amazing transformation of money and learn about minting history. Denver Botanic Gardens is set in the beautiful tree-lined Cherry Creek area and has its very own 3-acre children’s garden just perfect for exploring and observation. The Red Rocks Park & Amphitheater hosts year-round concerts set in front of stunning red rock mountains; come on an off day and tour the facilities and the beautiful red rocks and then stop at the nearby Dinosaur Ridge where you can touch dinosaur bones and walk in their footprints! If your little ones need to get some energy out, head to Westlands Park in Greenwood Village for more than just the typical play structures, but also water fountains, tree houses, climbing walls, music makers, a skate park and plenty of picnic space. This park has been voted the “Top Playground” of the Rockies and we are sure you will agree. 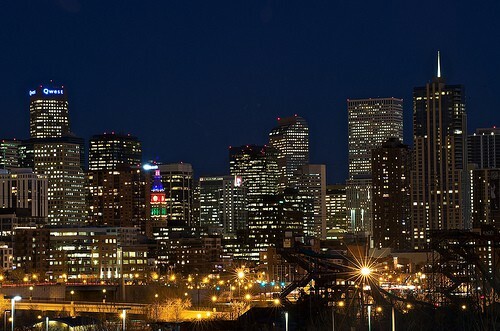 Find the best deals on lodging in Denver. Hungry? Enjoy super-cool restaurants in Denver for kids. The impressive hills and vast terrain of the Rocky Mountains, coupled with snowfall levels up to 465 inches a year, Colorado is a skiing and snowboarding winter wonderland. The state has 26 ski resorts, many with kid’s clubs, ski schools, awesome packages for families, and even a resort boasting the world’s highest Starbucks (at 10,850 feet). The winter season in the mountain towns like Keystone, Aspen, and Vail can sometimes extend well into spring offering skiers the chance to enjoy an impressively long season. If, like me, the idea of your kids (or self) flailing head-over-heals in a cartoonish avalanche of snow scares you away, never fear. The soft mountains of snow are also just right for good, old-fashioned (and not so terrifying) cross-country skiing, sledding, making snowmen and snowball fights. Photo by: Trekaroo/thelees3Colorado’s land is incredibly diverse and the park systems reflect a unique display of beauty. At Great Sand Dunes National Park, the highest sand dunes in North America, your climb is rewarded with a year-round, non-dependent-on-weather “sand” board or sled down the hills. Rocky Mountain National Park offers abundant animal life, gorgeous scenery and plenty of family hikes and campgrounds. Just outside Denver, Roxborough State Park offers a unique juxtaposition of swaying prairies and jutting red rock formations. In the northwest, experience the closest thing you can get to a jungle at Rifle Falls State Park. Take the short five-minute hike in the morning to the falls for a sweet, sunlit view of three majestic waterfalls surrounded by lush foliage. From prairies, lakes, and plains to stunning mountaintops and forests, Colorado’s parks cannot be beaten. Need more info? Try our handy guide on exploring Colorado’s national parks. Don’t forget about hot air balloon in the beautiful Rocky Mtns. Winter Park is only 67 miles from Denver in the heart of the Rockies, near Rocky Mtn National Park. Yes, these are best things to do in Colorado. Get best trip packages in Colorado from Colorado Wilderness Rides and Guides and enjoy you trip.